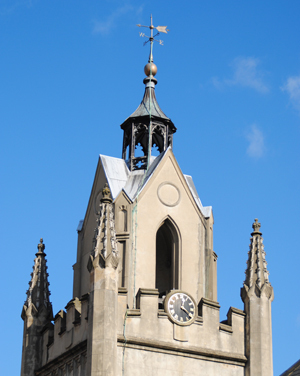 Well done to Jameson, this is indeed the steeple of the church of St Mary Magdalen Bermondsey, located in Bermondsey Street. The first record of the church dates from about 1290 when the church belonged to the Prior and Convent of Bermondsey, although a church did apparently exist some time prior. The current building largely dates from around 1690. St Mary Magdalene Bermondsey, which is indeed a pleasingly odd looking building when seen in full. Hm, nothing yet, but the longer I look at it, the stranger-looking it gets, which is rather neat.